To learn how to make moonshine you will first need to learn the difference between a pot still and a column/reflux still and decide which type you will use. Both a pot and column still have advantages and disadvantages and which one you decided to use largely depends on the type of liquor you are thinking of making. First up lets discuss what exactly a pot still is how it works and what type of alcohol it will produce. What does a pot still do ? A pot still collects and condenses alcohol which is boiled off from your mash. It will produce a final product with an alcohol content between 40-60% which will include plenty of flavor from the mash. To increase the alcohol content you can re run your distillate however you will loose some flavor in the process. What types of liquor is made with a pot still? A pot still is best to use for making spirits rich in flavor and texture. With a pot still you get 40 – 60% pure alcohol and the rest is water mixed with flavorful organic compounds from the mash that add flavor and texture to your spirit. For example you can make single-malt scotch, rum, bourbon and whiskey with a pot still. How does a Pot still Work? 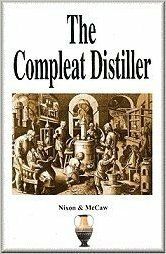 The principle of distillation is very simple, alcohol has a lower boiling point then water. Alcohol will evaporate at 78.3 degrees Celsius while water will evaporate at 100 degrees Celsius. Thus when you heat your mash the alcohol will begin to evaporate before the water does. Both a Pot still and Column still operate on this simple principle however you can obtain different results depending on the type of still you use influencing the quality and taste for your end result. How to Make a Pot Still ? If you’ve got some spare time it’s quite easy to make your own pot still. To do it right you will need a good set of blueprints which will allow you to create an efficient still that creates a great tasting product. I’ve built several stills from scratch and decided to put together a few tutorials to make it easier for you guys to build your own. Head over to the Still plans section of our blog to view all the plans we’ve posted. Plans include material list, tools needed, video tutorials and a step by step process which will allow you to build your own still at 1/4 the cost of buying one. Where can I buy a Pot still? If you don’t want to build your own pot still you can always purchase one online. There are many well made pot stills available and I’ve listed a few sites below that I would recommend to anyone interested in purchasing one. Amazon.com – has several Pot stills available for sale. Best of all you can read customers reviews before you buy. Learntomoonshine.com – If your after quality here’s a list of custom still builders I would recommend contacting. You’ll pay a bit more but will get a beautiful custom made still that you’ll be able to pass down to your kids. Hillbillystills.com – Makes some real nice stills, If your looking for high end one. Here’s a video that will explain how to run your pot still. If your just getting started I’d highly recommend you watch it. Make sure you subscribe to barley and hops channel as he’s got ton’s of great video’s for anyone staring out and is super helpful if you have a question. 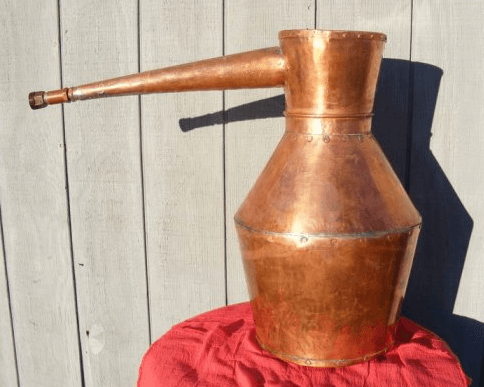 2 Responses to "Pot Still – What it is and how it makes alcohol"
you have a great site- thank you for all the information, I am have some challenges down loading the built it your self Pot still plans.